Floridablanca is a fairly nondescript town on the outskirts of Bucaramanga. It is an odd mix of a small traditional town and the glitziness of the big city (shopping malls, cinemas, bars etc) that has gradually encroached into the suburbs over recent years. While it's not the prettiest town in Colombia, those with a sweet tooth will not be disappointed! The large quantity of sweets for which the town is famous has earned it the reputation of Colombia's sweet capital. Of all the sugary treats on offer, probably the best known is the oblea: two circular wafers filled with different flavoured sauces. They are delicious, but it's a good idea to have a bottle of water on hand as they are very sickly! 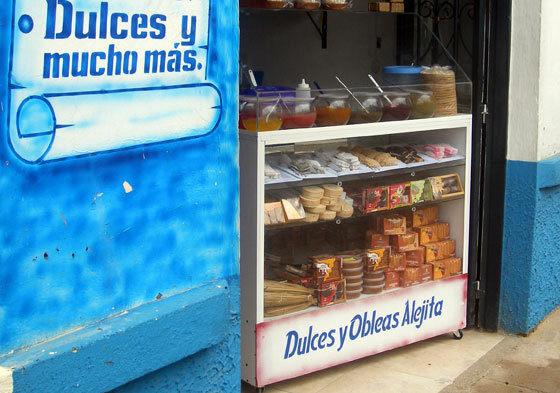 Several of the streets leading off the main plaza contain shops selling these and numerous other varieties of sweets. Once you've had you're fill of sugar, head to the Casa de la Cultura. The museum inside houses a number of artifacts from the Guane period and a helpful guide will show you around and explain a little about the history of this ancient indigenous people. The site of the Casa de la Cultura is quite significant. Several years ago the town council began the process of building a centre for the local Transport Department. In the early stages, the builders discovered a large rock with engravings (petroglyphs) on it's surface. These turned out to be petroglyphs from the Guane people, an indigenous community that lived in what is now the department of Santander, but that was significantly reduced with the arrival of the Spanish in the 16th Century and is now all but extinct. 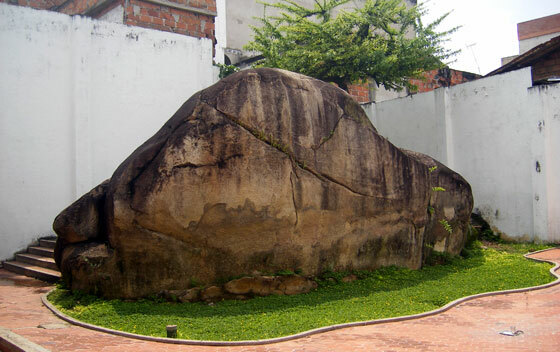 The Casa de la Cultura is built around the rock (known as the Piedra del Sol) which is found near the entrance to the museum. Tourists rarely stay here as it is within easy range of Bucaramanga and there is probably only a few hours' worth of things to see and do here. But if you do want to stay here, there are plenty of places to choose from. For a fabulous luxury hotel you can't beat Club Campestre de Bucaramanga. The hotel has a large outdoor swimminmg pool, sauna, and a variuety of sports facilities. It also has a good restaurant and bar. If you're looking for a budget option, a great place to stay is Hostal Don Juan. It's a clean, comfortable hostel and the common areas mean it's easy to meet other travellers. 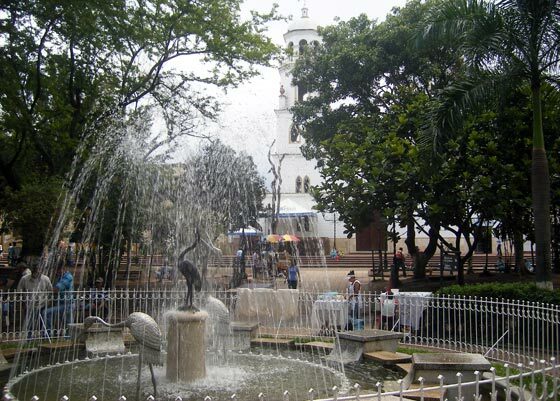 Although most backpackers choose to stay in Bucaramanga. Buses frequently go to Floridablanca from nearby Bucaramanga. The journey should only take 15 minutes or so, but depends on traffic. A taxi will cost around $8,000 pesos. Buses also leave frequently to the beautiful colonial town of Giron, popular with tourists. The trip should take less than half an hour.